Invisalign is a popular and effective way to address orthodontic issues in Damascus. It uses several customized aligners that will move your teeth into their correct positions. 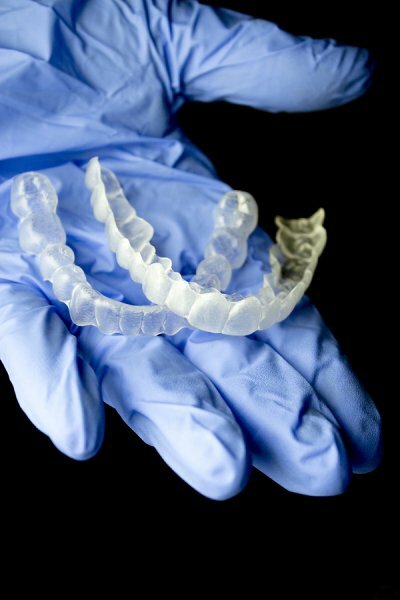 The aligners are removable and made of a clear plastic, which gives you complete control over your treatment progress . Speak with your orthodontist and continue reading below for the answers to your questions about Invisalign . Wearing the Invisalign aligners will not hurt. During the first week of your treatment, you may experience some tenderness as your teeth start adjusting to the forces that are moving them. However, this tenderness will soon dissipate, and it can be controlled with over-the-counter pain medications until it disappears. Will it take a long time? Invisalign is such a revolutionary orthodontic procedure because it cuts down treatment time. Depending on the extent of your orthodontic issues, traditional metal braces can take 2 or more years to correct your crooked teeth. However, Invisalign can often correct mild to moderate teeth straightening issues in under a year. Your orthodontist can use special software to show how your teeth will correct themselves over the proposed treatment time. Will it affect my diet? If you choose Invisalign, then you will not need to change your diet. Invisalign aligners are completely removable, which makes it easy to maintain a healthy diet. If you wear traditional braces, then it may be difficult to eat hard, crunchy foods like apples and carrots. You can still eat these healthy foods when you take out your Invisalign aligners, so your diet will not be affected. Will it affect my smile? Invisalign aligners are made of a clear plastic, which make them almost invisible. When you put your aligners over your teeth, you and your friends will not be able to notice. You can speak and smile freely while wearing your aligners. This ability to maintain your smile will keep your confidence up as you go through this life-changing process. Should I Be Using an Electric Toothbrush?